The Narendra Modi government has admitted to financial irregularities to the tune of Rs 3,000 by medicine-sellers, as per the latest data available with the Ministry of Chemicals and Fertilisers’ Department of Pharmaceuticals. The overpriced costs, which the government says amounted to Rs 2,987 crore at the end of March 2017, are being borne by medicine buyers. “As per the Pharmatrac Data for March 2017, it is observed that approximately 89 percent of the market of non-scheduled medicines with 27,321 products is having a trade margin of less than 30 percent,” the Ministry of Chemicals and Fertilisers wrote on Jan 24 to PR Somani, a Telangana-based engineer and the Founder President of The Nizamabad Chamber of Commerce and Industry. 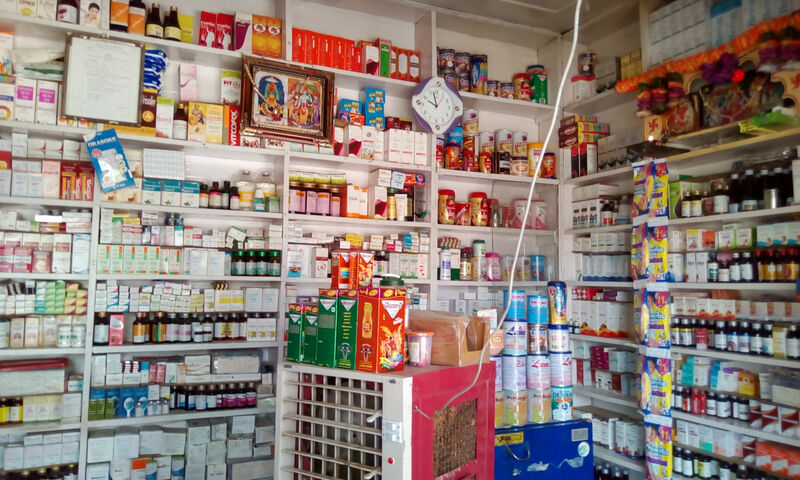 “This means, more than 30 percent trade margin is enjoyed by only 11 percent of the market of non-scheduled medicines,” the ministry said in its written reply. “The manufacturers of Non-scheduled formulations are not permitted to increase the price by more than 10 percent per annum,” the government’s reply said, indicating that the price control rules were being openly flouted in the sale of various drugs. Somani, however, says that the Rs 2,947-crore loss to the Indians, cited by the government, is the just the tip of the iceberg, and the actual “medical scam” is much bigger in terms of financial loss inflicted upon the Indian taxpayer. “There is a huge difference between wholesale price and retail price of medicines. For instance, pharmaceutical companies are printing abnormally high MPRs, even up to 3,000 percent, more on their selling price of medicines, including generic medicines, life-saving drugs, and even surgical equipment,” complains Somani. Disputing the list provided by the government, Somani reveals that he has submitted to the government a comprehensive list of almost 900 products which are making a profit margin of more than 100 percent. As per the available data, which has been reviewed by National Herald, products from at least six pharmaceutical companies – Abbott (223 products), Cipla (179), Theogen (273), Emcure (99) and Wockhardt (76) – are being sold to customers with a profit margin more than 75 per cent, with several products going with a profit cap as high as 2,125 per cent. In all, at least 850 medical products are going for a profit margin much higher than 75 percent, much higher than 460 products cited by the Ministry of Chemicals and Fertilisers in its reply. “Scheduled drugs are patented/branded drugs and comprise just 20 per cent of the market, in contrast to unscheduled drugs, which include many generic medicines and together make up 80 per cent of the drugs available in the Indian market,” explains Aggarwal, a former Padma Shri awardee. As of 2016, 680 medicines were under the National List of Essential Medicines (NLEM), out of which there had been a fixed profit ceiling for 530 medicines. Aggarwal says it is rather easy for private pharmaceutical companies to get their names off the NLEM list, so as to “ward off” the government’s price control rules. “The prices of lion’s share of medicines in the market remain unregulated. “The government has not executed recommendations of its own committee, headed by a Joint Secretary, that had recommended the margin at 35 per cent,” notes Somani.